I'm Caroline and am really happy to see this forum set up. After losing our beautiful first baby Max Stephen in May 2007 due to severe pre-eclampsia and HELLP syndrome, I never believed that I would ever have a baby to look after. 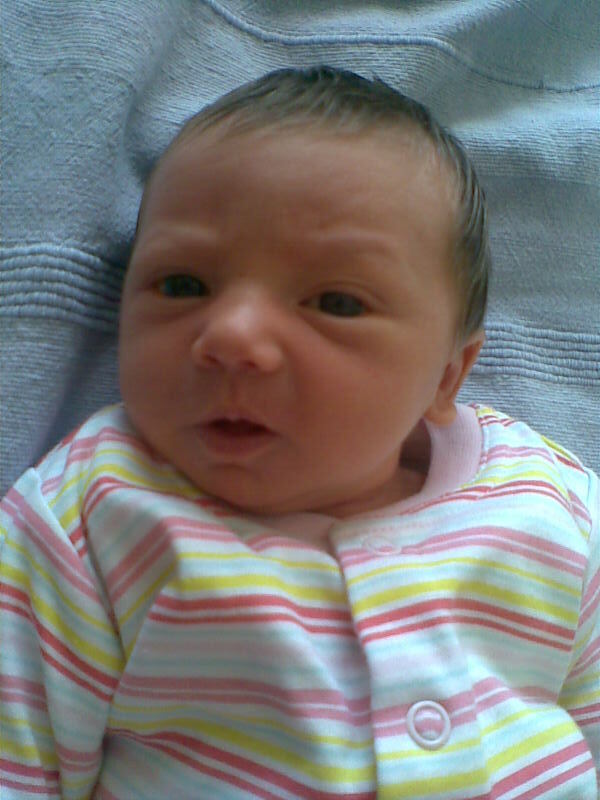 However, I am delighted to announce that Max's perfect little sister Tilly Hope was born on the 20th of May 2008 exactly one year and 2 weeks after her big brother. Tilly was born at 37 weeks exactly as I started to show signs of PE again but very very mildly. I hope that this gives hope to others like me who suffer this horrible disease and are scared to try again. Thank you for the picture, Tilly is just edible! Many Congratulations on her safe arrival, I am sure Max will be right by her side always. Liz & the PEcS team. i could eat her shes so lovely! Tilly is beautiful and I love her name!! Her safe arrival gives me so much hope for this new pregnancy. WOW she really is adorable.. made me broody now! What a absolutely beautiful little girl. Congratulations. Congratulations, Tilly is just gorgeous! Tilly is utterly gorgeous, and I bet Max is so proud of his baby sister - he will always be watching over her. Congratulations on the arrival of lovely Tilly!! She is beautiful! What an inspiration for all of us who have had the terrible experience of one of these conditions. Congratualtions on her safe arrival. She'll always have her own personal guardian angel in her brother! I hope she brings you endless smiles!! Congratulations and Tilly is absolutely gorgeous. Congratulations Caroline Tilly is just beautiful, enjoy every precious moment. just like to say congrats on the birth of your beautiful little girl Tilly hope. I really love the name!I know how overjoyed and serille it all is after loosing little max last year! I am similar to you as we lost little Sophie in feb 2007 and Caelen was born in march 2008. We are still so smitten and in love with him now at 3 months as we were when he was newborn.Enjoy every second with Tilly as the time goes too quickly. I would love to see a few more of those gorgeous pics!